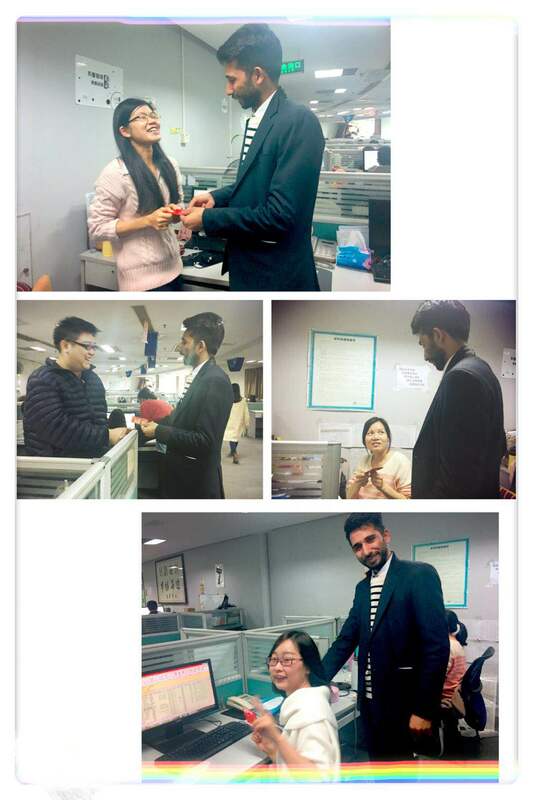 We at Tranalysis (Kcomber) celebrated the “red envelop” or “lucky money” day for the Chinese new year. 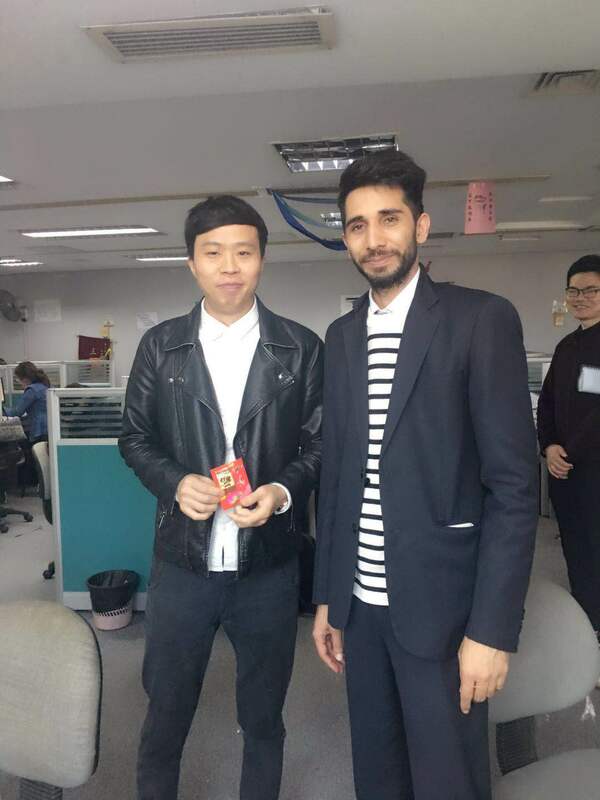 This long tradition contains, that our General Manager Usman Khan gives every employee a red envelope with “lucky money” inside, wishing good luck, success, and wealth for the next year. 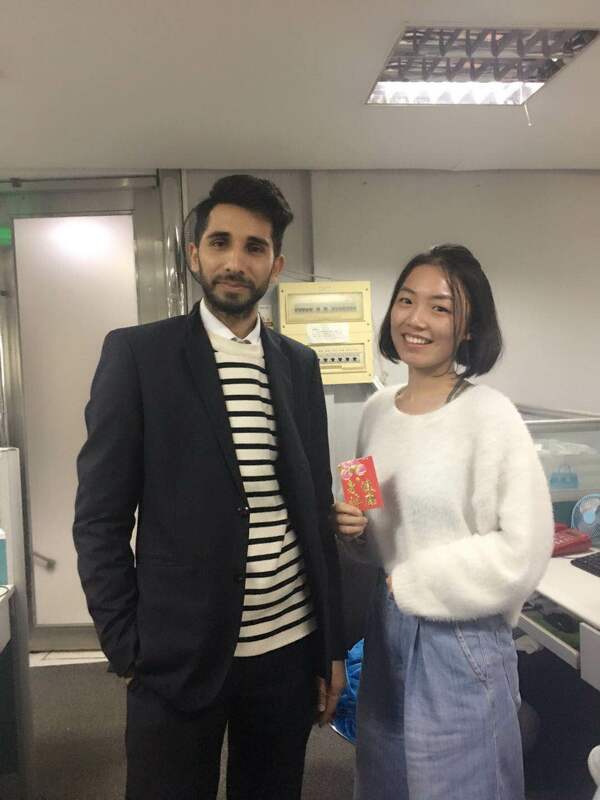 The event of giving the red packets is always great fun, as the whole team feels rewarded for the hard work they put into the business. Besides the red envelops themselves, there are also snacks and drinks and some time to talk about the holidays and plans for the next year. Not only get our colleges lucky money from the Manager, but they are also exchanging them with each other to show their friendship. However, only the married colleges are giving the envelopes to the unmarried ones, as this is part of the Chinese tradition. Another event for the day is the lucky money spending on WeChat, China’s biggest messenger and multi-tool app. Colleges in our company are in different groups on WeChat, where one member can send virtual lucky money in the group and the rest tries to open the packet in the group chat as fast as possible to get the highest share of the sum. A red envelope, in Chinese hóngbāo, is a square formed a red envelope. The traditional red envelopes used in China do often have blessings in form of golden Chinese characters, wishing the receiver happiness, good luck and wealth. The term “red packets” or “lucky money” has come into common use, though these little presents look and function more like envelopes than packets. Why do the envelops have to be red? Chinese people love the colour red and regard red as the symbol of energy, happiness and good luck. Sending red envelopes is a way to send good wishes and luck. What’s more, unlike a Western greeting or gift card, red envelopes that are given at the Chinese New Year don’t have any specific message and are also not signed by the giving person. When to give red envelopes? Traditionally, red envelops are given to children by related adults to pass on a year of good fortune and blessings. However, it is quite common that also the younger generation passes the lucky money to elders as a blessing of longevity and to show gratitude. In some regions of China, married couples will also give red envelopes to their unmarried friends and colleges to transfer some luck. Regardless the age, passing on red envelops is a tradition between close family and friends. Giving red envelopes to your co-worker’s or higher-up’s children is used for social networking. It’s just for fun between friends and politeness between acquaintances. Employers are usually giving their employees lucky money at the last working day before the Chinese New Year holiday. The amount can range from 100 RMB to more than 1,000 RMB. The employer is showing the gratitude towards the employees and wishing success, health and wealth for the next year.